An ingredient is one of the things in a recipe. This includes meat, vegetables, spices, sauces, powders, grains, etc. While it is impossible to share the English for all possible ingredients I will include the names of a range of ingredients you may encounter. In English the name of various meats tend to be different to the animal name. Here is a list of commonly eaten meats. cow meat is called beef. chicken meat is called chicken. sheep meat is called mutton or lamb. Mutton is for adult sheep and lamb is for young sheep. There is a lot of debate about eating kangaroo meat. Many Australians refuse to eat kangaroo because they are cute. Recently there is a movement called kangatarianism which is eating a vegetarian diet and kangaroo meat. The movement says that kangaroo is a sustainable meat source since they are all over Australia, don’t require farming, don’t emit methane and don’t cause damage to the environment. What actions do you when you are cooking? Here is a list of vocabulary for the various actions we take when we cook. stir and mix are very similar. Usually we say stir when cooking and mix before cooking. you can use either one. roast and bake are almost identical in meaning. There is almost no difference between the actions. Roast usually takes a long time. a few hours. the difference between deep fry and fry is the amount of oil you use. deep frying uses more oil. pour is often used with in or into e.g. pour the mix into the frying pan. That said the action you are doing on the BBQ is the same action as grill e.g. let’s grill the steaks on the BBQ. Once you are finished cooking you can serve the food. This has been vocabulary for cooking, next week we will do a vocabulary building blog on ingredients. What is the strangest form of transport you’ve ever seen? My answer to this question would have to be in Vietnam. The transport wasn’t strange to me but the way it was being used was. 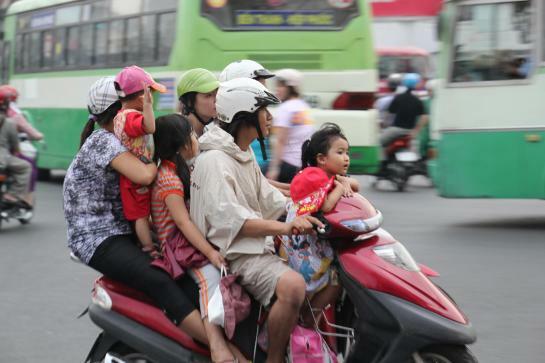 In Vietnam a scooter can be a family car. It is probably a lot of fun for the children and cheap for the parents. In Vietnam the scooter is the most common form of transport. One thing I noticed while I was in Vietnam was how few crossings there were. I also noticed that there weren’t many traffic lights. So if you want to cross the road you just cross. Don’t run, don’t stop. Just keep walking straight and you won’t get hit. I found it fascinating although the people I was travelling with thought it was terrifying. Why do people like it? How many people use this kind of transportation? Would you like to use it? why? why not? I did some research and found these interesting forms of transport. I’d like to try them all. All of them show the ingenuity of humans. I personally would love to own a Jeepney. Not as a job but as a personal treasure. Do you know Australian Football? It’s not soccer, rugby or Grid iron. It’s arguably better than all three. Certainly a lot more enjoyable to watch anyway. Australian Football is a sport unique to Australia. If you could mix all of the above sports into one you’d have something like AFL. it’s very popular. Most of the professional games have at least 30,000 people attending and that’s considered a small crowd. The big matches have up to 90,000 people. The grand final is always a sell out with over 100,000 people going. So what is this sport and why is it so popular? Where do people play it? How many people do you need to play it? Could you answer the questions? It’s a bit tough, fortunately the Australian Football League made a video to help explain this wonderful sport. Thank you to AFL for making such an easy to understand video. I hope you all get to see this game live one day. It’s a really exciting sport to watch. Oh and in case you are wondering. Women also play it. Here is the grand final highlights for the women’s professional league, go Brisbane! Have you ever heard of Car Curling? The following is an example of a presentation about an interesting sport. What the sport is, what you need to play, how many people you need to play and how to play it. After reading you can research about an interesting sport too. I just learned about a new sport this month. It’s called Car Curling. Do you know it? Have you ever seen Curling before? In curling you push a heavy stone along the ice to get it near the target. Car Curling is the same but you don’t use stones. You use old cars. To play you need a a frozen road or an ice rink, some cars, a driver and some assistants. There are two ways to play. The first way you only need two people in each team, a driver and an assistant. The driver starts the car and drives along the icy road. At the assistant’s signal the driver pulls the handbrake up and guides the car to the target. The second way to play, which you can see below, is where the car engine isn’t used. Lots of assistants push the car until it’s fast enough to slide down the ice towards the target. Both look like fun. It could make for a great winter festival activity. What does key word mean? Why do we stress key words? A key word is a word in a sentence that is important. To stress a word means to say it louder and clearer than the other words. We stress key words while speaking or giving presentations to help the audience understand easier. 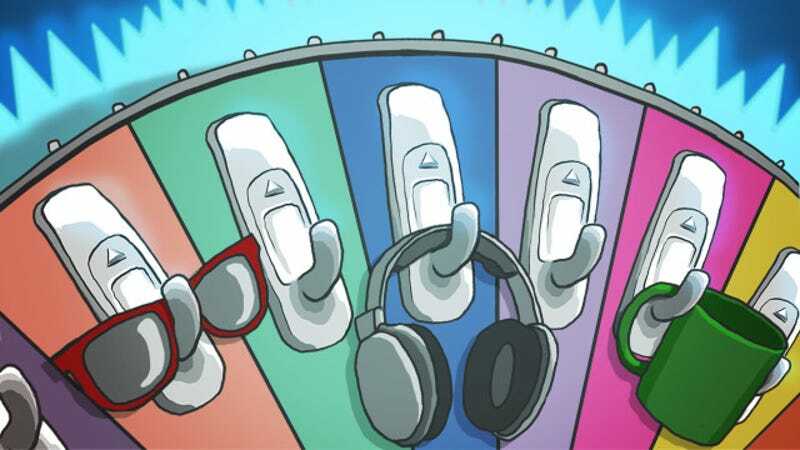 It gives the audience words they can hook onto while listening. How do you know if a word is a key word? Look at a sentence and circle what information you think is the most important. That is the key word of that sentence. Can a sentence have more than one key word? Yes, a sentence can have more than one key word. The sentence “Look at a sentence and circle what information you think is the most important.” has at least three words that I would stress. Can you find them? So next time you give a presentation think about saying key pieces of information a little louder and clearer to help your audience understand your speech. When do people wear the above clothes? Which are menswear and which are womenswear? Do the same for summer and winter. How else can you categorise clothing? Imagine you are shopping with a friend of yours. You are trying on clothes. How can you say what you don’t like about an item? Why doesn’t she like the shirt? She doesn’t like the colour. It’s ______________________. Why doesn’t she like the shirt? She doesn’t like the size. It’s __________________. For the first one we can use the word wrong. For the second one we can use the word too. Look back at the vocabulary pictures, make sentences with wrong or too to talk about why you don’t like each clothing. For example: I don’t want to buy the blue dress. It’s too old fashioned.